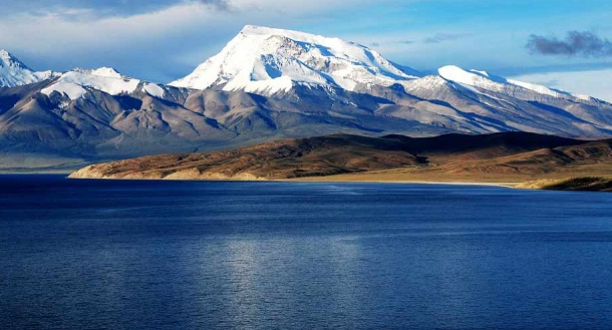 Mount Kailash is not just a mountain. It's a legend, one of the most significant spiritual spots in the world, revered by millions of people from different religions around the world. Your journey takes you from Wild remote western Nepal Simikot. In seven days short remote trekking to Tibet border Hilsa, into the non-tourist trekking zone of Nepal on ancient ways of the salt caravans across the border to Tibet, one of the most mystical countries in the world. This trip is also about going deeper within ourselves. For thousands and thousands of years, pilgrims have come to this holy place out of devotion & love....this focused energy creates a high-frequency vibration that can help the pilgrim in their personal spiritual quest when focusing the mind inward. This late afternoon we take a flight to Nepalgunj for about an hour. Nepalgunj is the far west crowded city. This city is close to India. There is a border between Nepal and India, called Rupadiya border. Nepalgunj is too hot, this is why we manage late afternoon flight. Transfer to Hotel from Nepalgunj airport about 4 to 7 kilometer. An early morning we will take another domestic flight for Simikot/Humla. Simikot is district headquarter of the Humla. So, our guide will bring you airport to depart. Flight duration will be about 50 minutes through stunning and an adventurous above high hills and sometime between hills. After getting off from the aircraft, we move for something to eat to our pre campsite then continue to head our destination Dharapuri, shome where a field of buckwheat, barley, wheat & potatoes. We ascend at first-hour rocky trail hills of Simikot & then steeply down through blue pine forest, as the second hour but the trail is wide. The last hour walking is almost flat & left down the river is shouting you which called Karnali river. It is only one that big river in Nepal which following west to east and longest too. Overnight Camping on full board meals. After breakfast, we start our trek for Kermi. We walk today for about four to five hour. Normally, we make lunch camp at Kermi. We suggest you carry some dry food always with you & do not walk far from your group each other because on the way we meet sometime domestic animals which can push you into the Karnali & it is a cliffy trail. Today we encounter a beautiful waterfall & we do follow Karnali river. It is really amazing scenery of the trip. And this day could be strong sun so far. Late afternoon visits hot spring, about 30 minutes above your camping ground. Today, we follow scenic trail along the peaches trees & big pine forest. And at first hour will be sunny, so protect it. We can see the Api & Saipal Himal & beautiful valley as well if the weather is permitted. We will have lunch in between around Salle Khola then after continue for today's campsite. The trail is wide & partly built off road but not completed and no worries that do not run any motors. Before lunch place at the top where another trail goes to Limi Valley, just continue down from the top for Albang Monastery. Overnight campsite on Full board meals. This day, no more trees to protect the sun. Be careful with crossing animals while encountering with them because the trail is cliff & just down running Karnali. We will across scenic villages, as usual, village-like Anger, Muchu. At Muchu where available mostly phone services & a check post. Muchu is one of the biggest villages of our trip trail. Normally people reach to the campsite little early which allows washing dirty kinds of stuff & taking bath into the river. Local tea shops bring you some Chinese Lhasa beer & Coca-Cola at the campsite to sell it. Immediately after leaving the campground & cross suspension bridge then steeply climb uphill about an hour. The trail gradually ascends today and starts wind too. We will have hot lunch on the way & landscape seen barren and Mount Saipal too. We leave left-hand side below a big Yari village which picturesque village. This evening will be cold because we are camping just below the Nara La pass. Next side of the Hilsa where our crew from Tibet, waiting for us. Before crossing the border you need to provide som3e greetings & tipping to the crew who came from Simikot with us. Today, after crossing the Nepal-Tibet border, marked only by a stone pillar, we meet our local team and we settle with luggage on our private means of transport. We will have visa formality process and then drive to Taklakot, one of the most 'big trade centers of Western Tibet. Accommodation in simple guest house. Breakfast. Accompanied by the unforgettable views of the Himalayan range, continue to Paryang and, after the Maylum La pass (5280 m.), Is presented to us before the eyes of the spectacular scenery of the Barkha plain with beautiful and sacred lakes Mansarovar Rakas Tal. The day dedicated to relaxing and to 'acclimatization. in the afternoon we moved to Darchen, just km from Lake Manasarovar. Accommodation in simple guest house. Pack Lunch. Today we face the most difficult part of our trek with the ascent to the Dolma La pass (5660 m.), Passing by some lovely lakes and a place, just before the pass, where pilgrims used to leave something personal: a boss apparel, a lock of hair, a tooth, as a symbol of his own death and rebirth to a new more spiritual life. At the pass, where a multitude of prayer flags flapping in the wind and where you no longer see the summit of Kailash, we begin the descent on the other side to the gentle plains of the valley below where we find herds of yaks grazing. One more effort and we come to the monastery of Zutulpuk Gompa (4835 m.), Built on the site where it was to meditate Milarepa. Chiu Gompa Last day and trek downhill to Darchen. It takes merely 2 ½ to 3 hours that involves the crossing of several streams and follows an impressive gorge from where you can look back for fabulous views. We move to Saga with passing by beautiful views of the Himalayan range. After breakfast, we will have a short drive to border, complete immigration formalities, and this will be the end of the trip. We will then bid farewell to Tibetan guide and driver. After that, we will cross the border, meet Nepali driver and jeep, continue driving to Kathmandu.